Learn about the history, culture, and reality of American sports. Sadness. Your browser does not support the audio element. After a discussion of college football bowl games, Nic tries popcorn-based baseball park snacks for the first time. 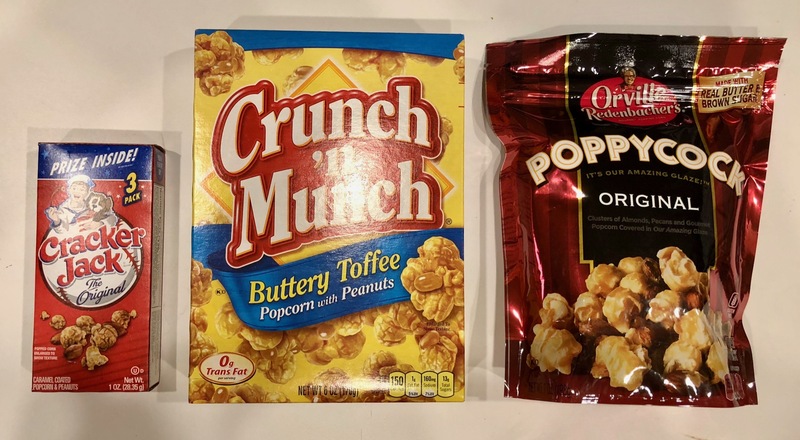 The snacks up for judgment were Cracker Jack, Crunch ’n Munch, and Poppycock. We continue to consume beers local to the Phoenix area. This time it’s Huss Brewing Co. out of Tempe, AZ. This is another brewery that puts all their products on one single page. Tom decides his Coffee Kölsch is an excellent beer for a brunch, while Nic enjoys how the Copper State IPA is not very West Coast.